2019 Austin Cindric #22 MoneyLion / Ford Mustang NASCAR 1/24 diecast, by Action Lionel. The Team Penske #22 MoneyLion Ford Mustang will be raced by Austin Cindric during the 2019 NASCAR xfinity Series season. 2019 Austin Cindric #22 MoneyLion / Ford Mustang NASCAR 1/64 diecast, by Action Lionel. 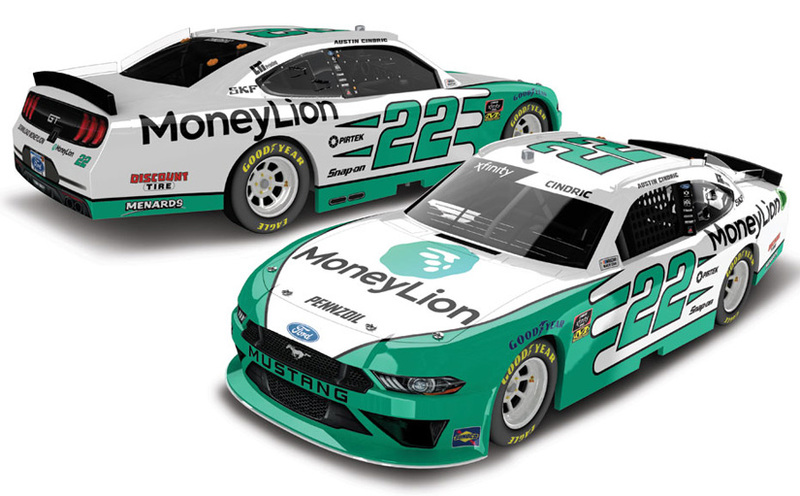 The Team Penske #22 MoneyLion Ford Mustang will be raced by Austin Cindric during the 2019 NASCAR xfinity Series season. 2018 Austin Cindric #22 Fitzgerald Glider Kits / Ford Mustang NASCAR diecast, by Action Lionel. 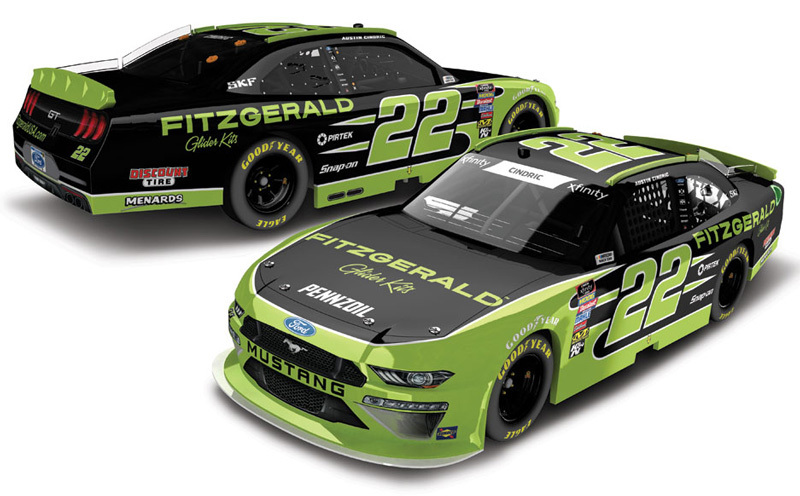 The Team Penske #22 Fitzgerald Glider Kits Ford Mustang was raced by Austin Cindric in 9 events during the 2018 NASCAR xfinity Series season. 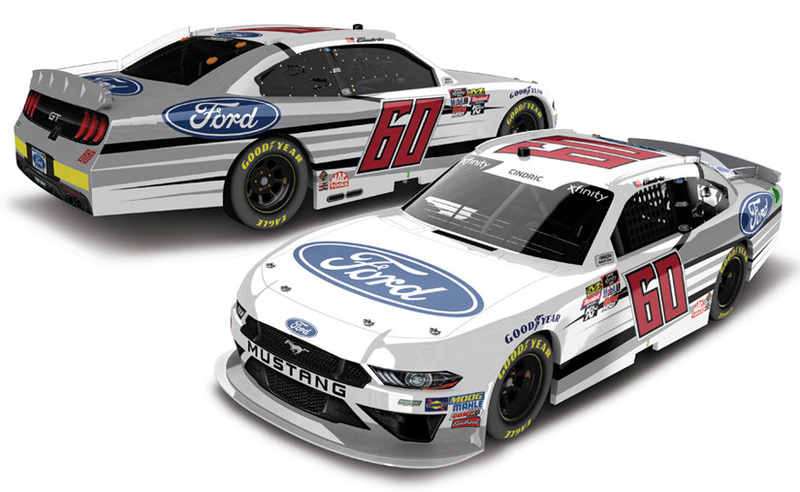 2018 Austin Cindric #60 Ford Mustang NASCAR diecast, by Action Lionel. 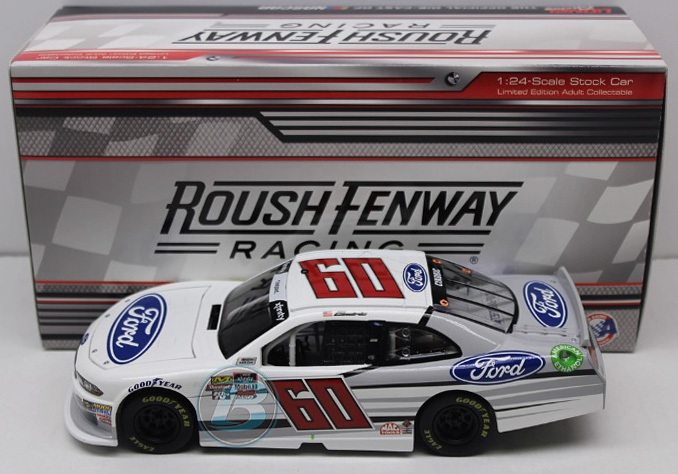 The Roush Fenway Racing #60 Ford Mustang was raced by Austin Cindric in select events during the 2018 NASCAR xfinity Series season. 2018 Austin Cindric #60 PIRTEK / Ford Mustang NASCAR diecast, by Action Lionel. 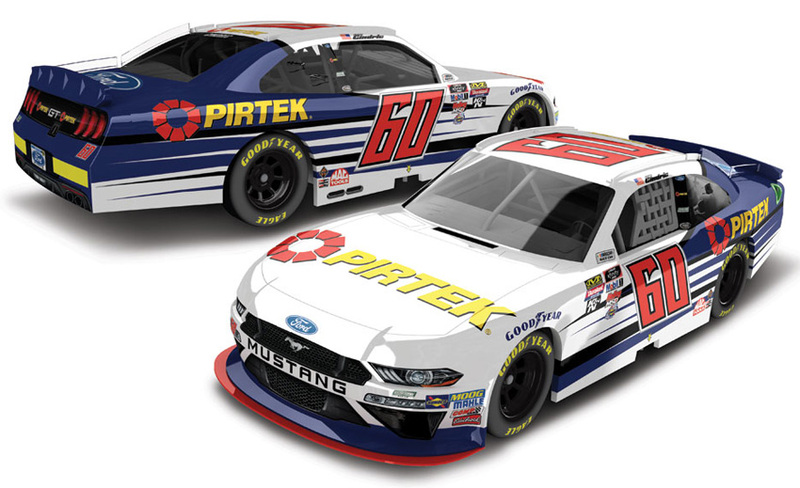 The Roush Fenway Racing #60 PIRTEK Ford Mustang was raced by Austin Cindric in select events during the 2018 NASCAR xfinity Series season. 2017 Austin Cindric #19 LTi Printing / Ford F-150 NASCAR Truck diecast, by Action. 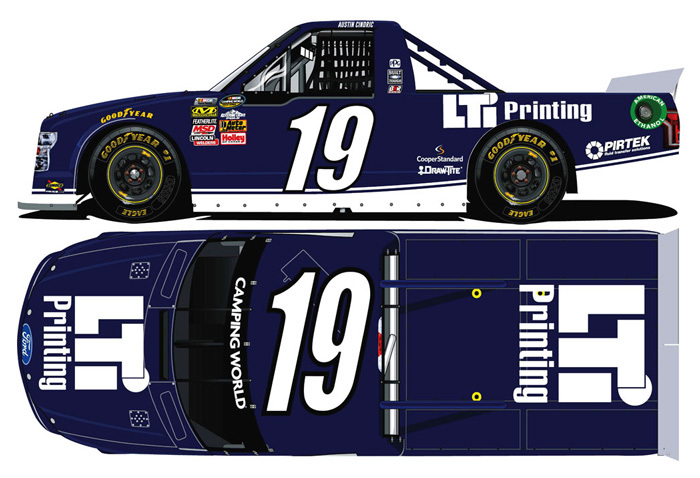 This BKR Brad Keselowski Racing #19 LTi Printing Ford F-150 truck was raced by Austin Cindric in select events during the 2017 NASCAR Camping World Truck Series season. 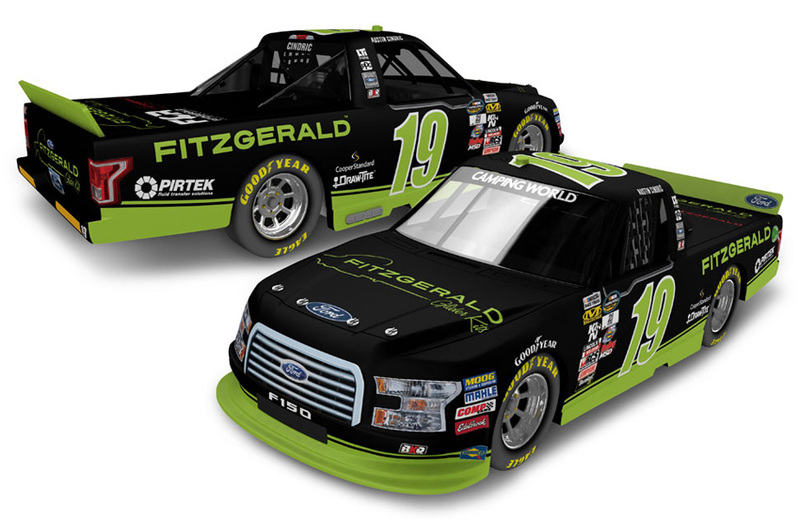 This diecast truck is produced on an all-new Ford F-150 tooling. These are Hard Top (HT) the hood will not open. 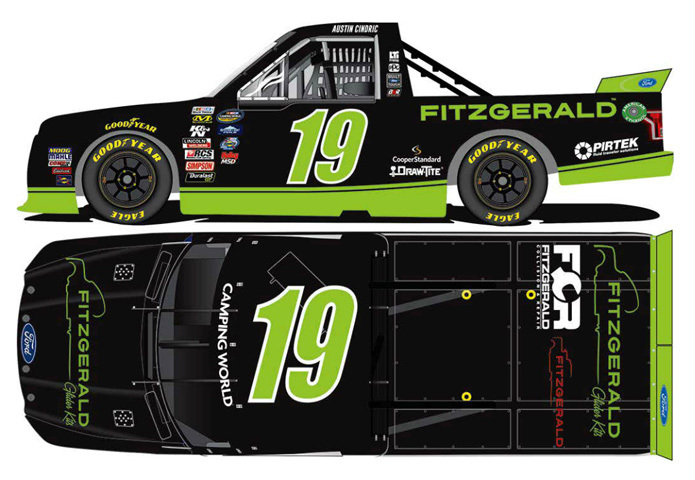 2017 Austin Cindric #19 Fitzgerald / Ford F-150 NASCAR Truck diecast, by Action. 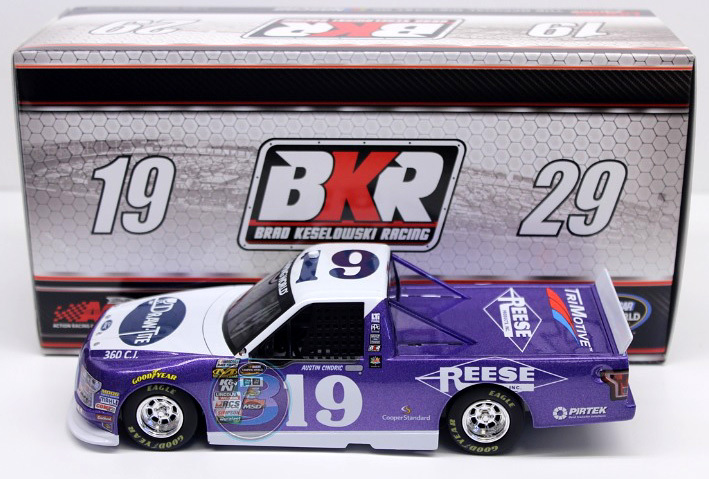 This BKR Brad Keselowski Racing #19 Fitzgerald Ford F-150 truck was raced by Austin Cindric in the NASCAR Camping World Truck Series, UNOH 200 at Bristol Motor Speedway on August 16, 2017. 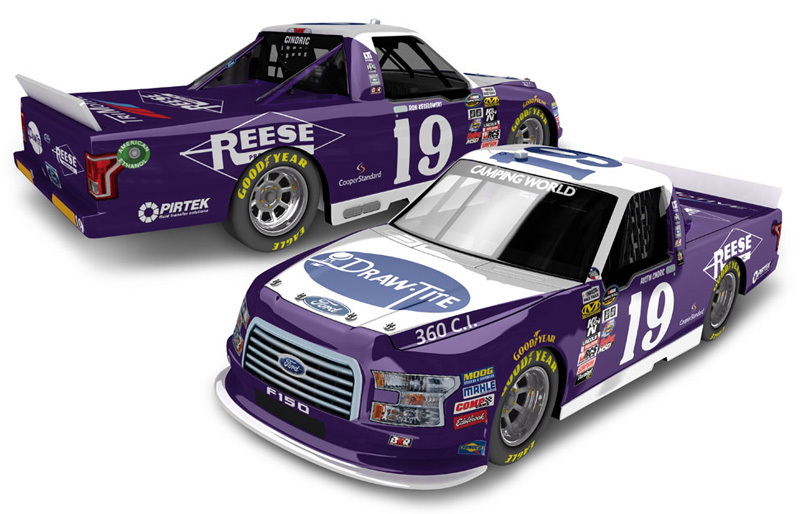 This diecast truck is produced on an all-new Ford F-150 tooling. These are Hard Top (HT) the hood will not open. 2017 Austin Cindric #19 Draw-Tite / Throwback / Ford F-150 NASCAR Truck diecast, by Action. 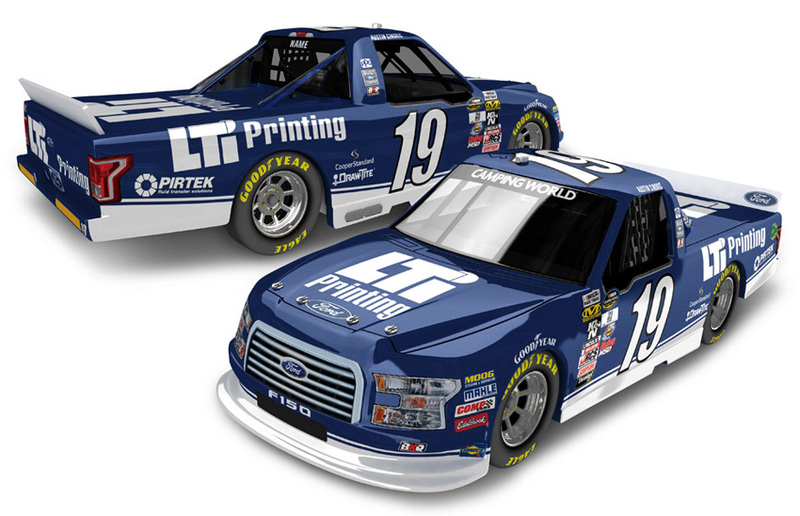 This BKR Brad Keselowski Racing #19 Draw-Tite Throwback Ford F-150 truck was raced to victory by Austin Cindric in the NASCAR Camping World Truck, Chevrolet Silverado 250 at Canadian Tire Motorsport Park in Bowmanville, Ontario, Canada, on September 3, 2017. This paint scheme is reminiscent of one driven by Ron Keselowski - uncle to Brad Keselowski, during the early 1970’s.